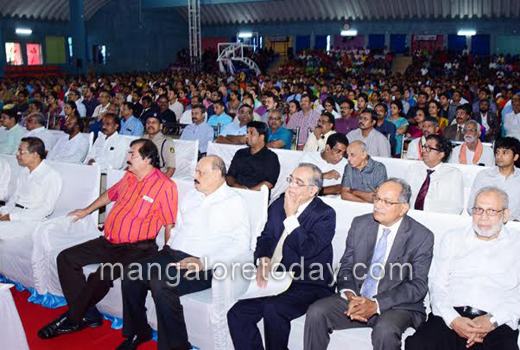 Mangaluru, July 31, 2016: Addressing the gathering for the launch of new facilities at Yenepoya University that included a robotic surgery unit, Governor Vajubhai Rudabhai Vala on July 30, Saturday, asserted the need to further encourage robot-assisted medical applications. Governor Vala said, "Robotics, the new mantra is driven by known perfection. The immediate need is to give it a proper head start." "Even if the Chancellor Yenepoya Abdulla Kunhi is not from the field of medicine, he has understood the need of society and has hence spent his wealth to make available these facilities. 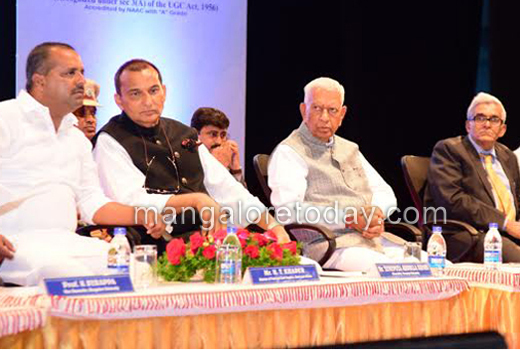 He has motivated doctors to use the same to enrich their knowledge and extend the benefits to common man. 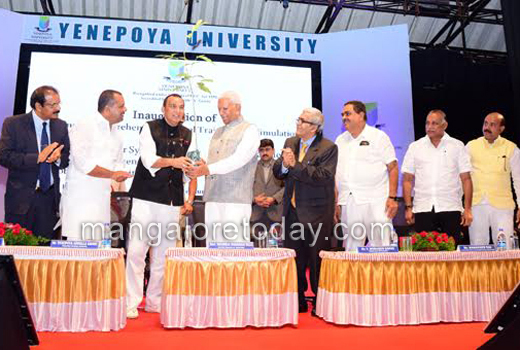 a blend of wealth and knowledge for the good of society has been the driving force here." dwelling on the advancements in the field of medicine, Vala predicted that a day is not too far off when apart from heart, liver and kidney even the brain is transplanted. Earlier, the German Military Hospital was known for its liver transplantation and India followed suit later, with better research in the field. 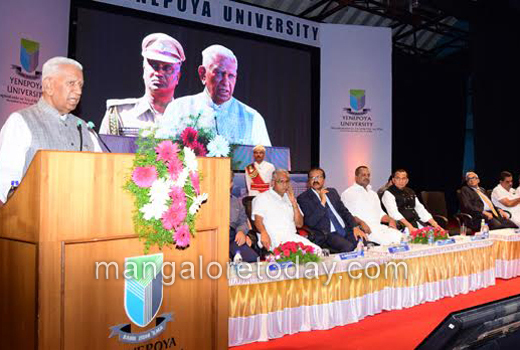 Taking note of student strength at the Yenepoya varsity, Gov Vala said that the benefits of new facilities should be availed by girl students, for they are sincere in their deeds. Not many boys have the ability to concentrate on studies, as it is evident with a mere 30 boys excelling in their studies, bagging gold medals compared to 70% girl students at the varsities in general, said Vala. It also indicates "naari shakti" (women’s power) and increase in opportunities, he added. 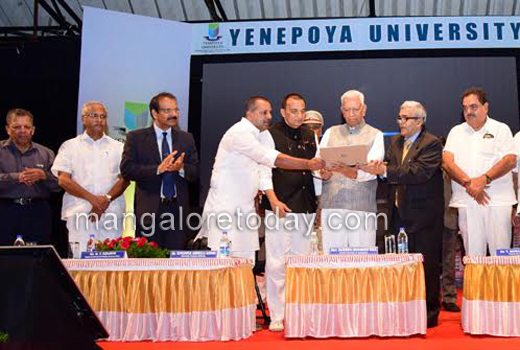 In his address, Chancellor Abdulla Kunhi claimed that Yenepoya Medical College and Hospital was the first among the non-corporate hospitals in the state to deploy Robot-assisted surgery and third in the country." 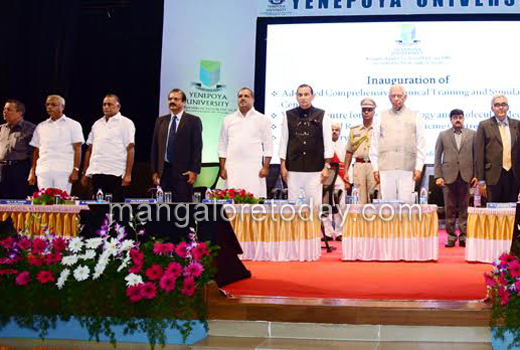 Governor Vala inaugurated YU-IOB, Advanced Comprehensive Clinical Training and Simulation Centre, for Systems Biology and Molecular Medicine, Stem Cells and Regenerative Medicine Centre and Robotic Surgery Unit. Mr . Vala is the inspiration to the present generation.